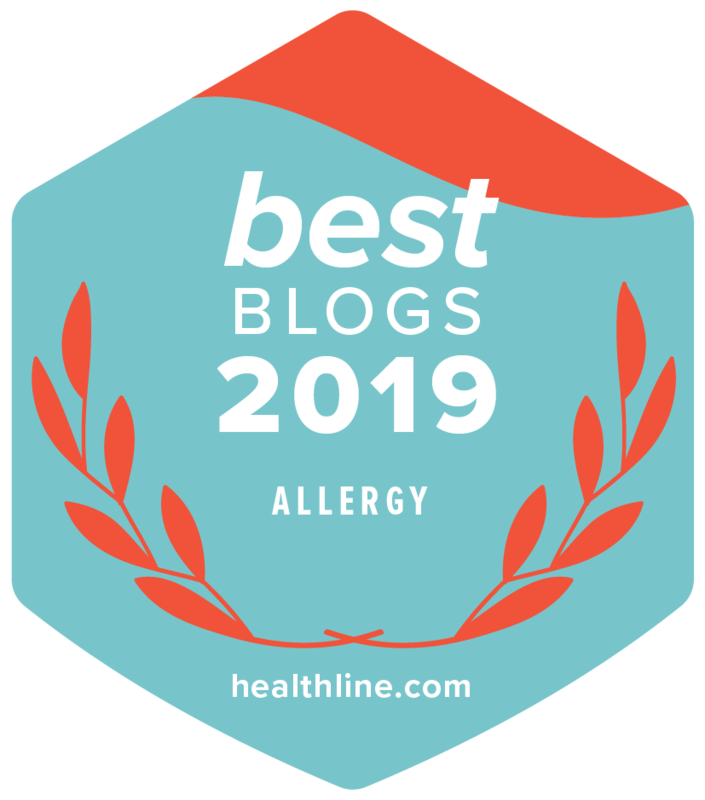 If you’ve been following along this month, I’ve written lots of posts on whole grains the last several weeks, trying to take the mystery out of adding more whole grains to the everyday diet throughout the day. 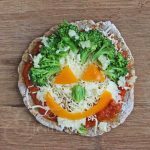 We’ve had lots of fantastic feedback, as well as active reader participation, sharing recipes and ideas on how to add more whole grains to meals. 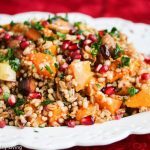 Today, I’d like to share some fabulous whole grain recipes I’ve been drooling over from some of my favorite food bloggers. 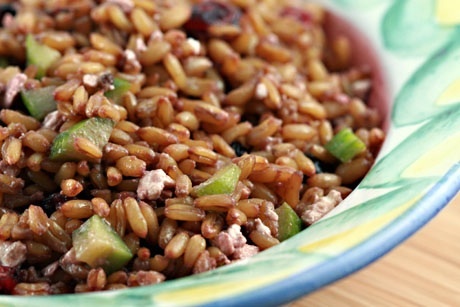 I’ve been inspired by these healthy whole grain recipes and wanted to share them with you. Take a look and I hope you’ll be inspired too. 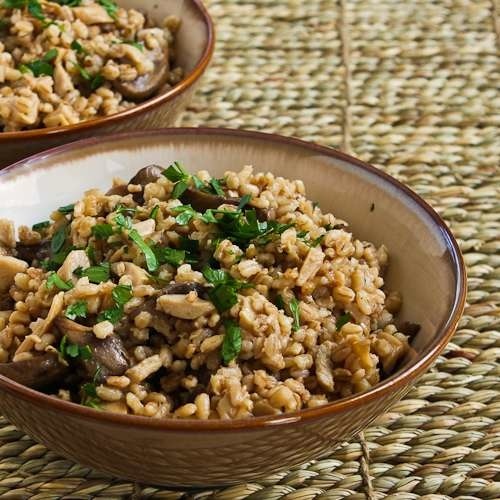 This Barley Pilaf with Dried and Fresh Mushrooms from Kalyn’s Kitchen is so versatile, it can be made with any whole grains – I bet it would be wonderful with quinoa or millet too. Meaty mushrooms and hearty grains make the perfect combination. 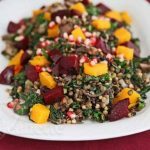 Lydia’s Warm Salad of Kamut, Cranberries and Feta from the Perfect Pantry has the perfect balance of sweet and salty flavors, and would make a nice hearty meal on its own. If you’re not familiar with Kamut, it’s related to both durum wheat and spelt, and tastes like a buttery and nutty wheat. 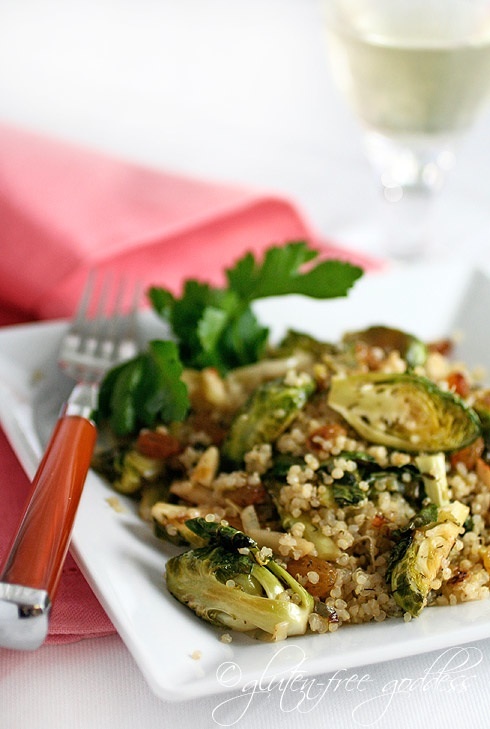 No one knows gluten-free goodness better than Karina, the Gluten Free Goddess, so I know this Quinoa with Roasted Brussels Sprouts and Slivered Almonds would make the perfect meatless entree. I’m a brussels sprouts lover, so I know I’ll be trying this. 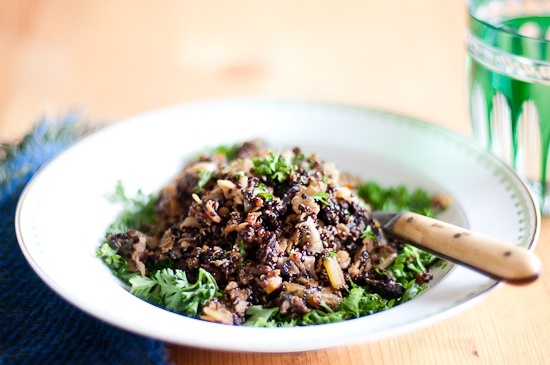 This Black Quinoa and Red Lentil Salad with Parsley from Winnie’s Healthy Green Kitchen caught my eye with its dramatic color contrasts. I love the combination of lentils and grains. Isn’t it just gorgeous? And how about this sunshine filled plate of Spelt Berries with Roasted Pepper Sauce by Joanne of Eats Well With Others, a brain (an MD/PhD student), a cook and a marathon runner who shares her crazy single life with her readers! I always get a good chuckle from reading Joanne’s posts. Here’s another recipe I found using spelt, this time as a flour. 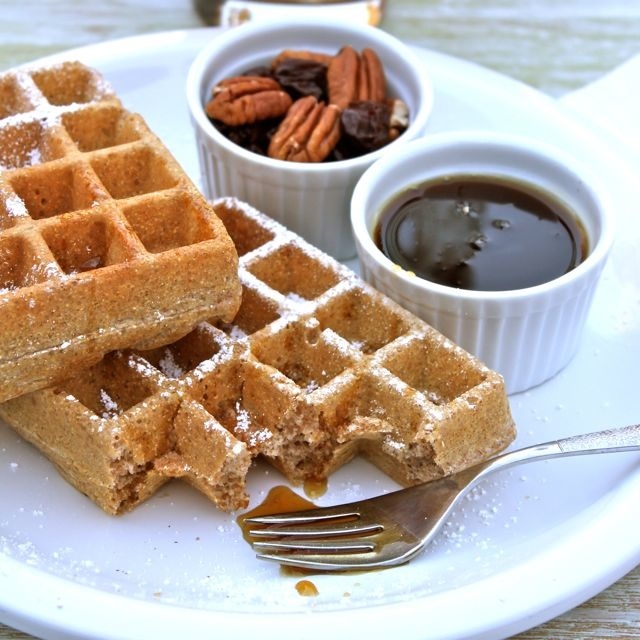 These Healthy Spelt Waffles from Sommer’s A Spicy Perspective are a family favorite, light, airy and crisp, the perfect way to introduce your kids to whole grain goodness…a little syrup doesn’t do any harm if it helps get your kids to try these healthy waffles. 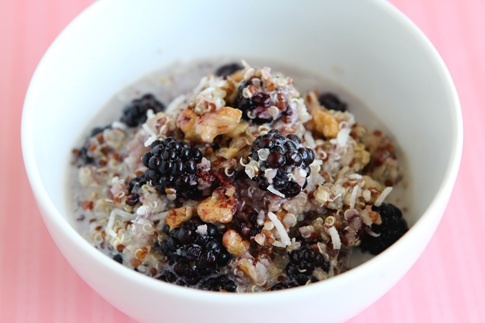 What better way to start off the day than with a nice bowl of Lisa’s Quinoa with Cinnamon, Walnuts and Berries from With Style and Grace. Love that combination! Or for a nice leisurely weekend breakfast, make your family feel special by serving up Marla’s Baked Coconut Oatmeal with Pepper Nut Topping. 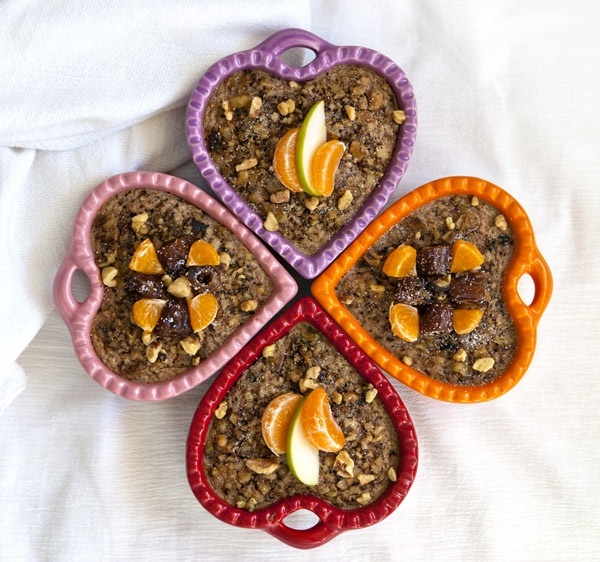 Wouldn’t your family feel loved if you served them these cute individual dishes of oatmeal for breakfast. Are you inspired? 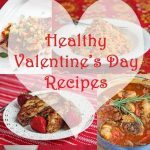 I would love to hear what your favorite whole grain recipes are. Please share them in the comments below. I am inspired! 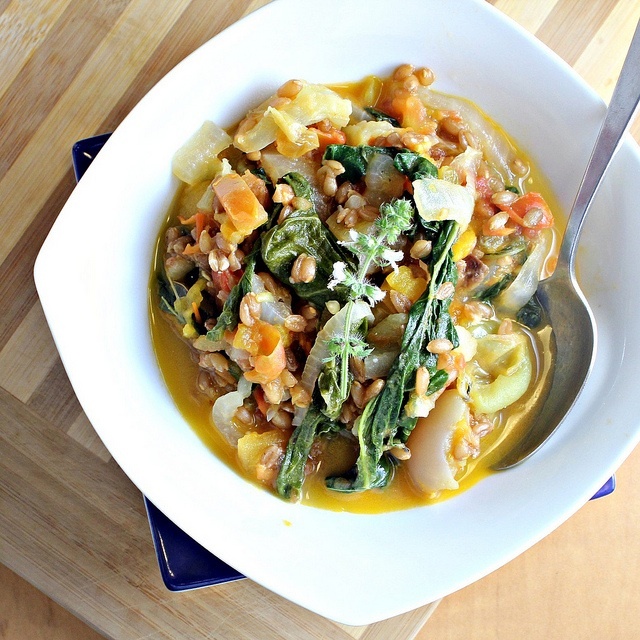 Thanks so much for including my Kamut recipe in this great round-up. Everyone's recipes look amazing…and you featured my great friend Marla's recipe (I recognized that photo actually! )..and so many other good ones. 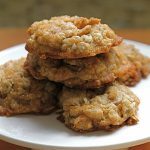 I have plenty of oats-in-desserst recipes…do they count as whole grain recipes? 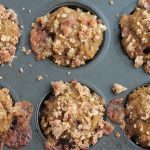 You're probably thinking savory and without 1 c of brown sugar though..ha! 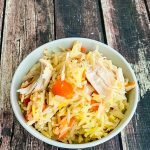 Averie – please do add your oats dessert recipe, would love to see it. 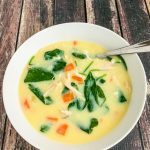 Great round up of recipes! ^^ I just love the breakfast ones! Wow – so many great choices – thanks! Wow, this is an amazingly delicious post!! Love love love whole grains. I love the round up. I linked up yesterday with a Beet and Barley Risotto recipe. lovely round up jeanette! 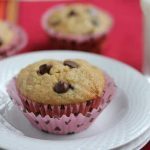 I linked up my oats, quinoa, chocolate cookies! made some wheat berry sprouts bread today, havent posted the recipe yet! Great round up! Everything looks good, but those cookies have me drooling! Great recipes. I really need to do better at using whole grains. Thanks for the offer to add my post to your roundup. Everything looks de-lish to me!